A number of the world's most luxurious hotels have deleted their social media accounts in light of the backlash against the owner. The Sultan of Brunei is the owner of the nine luxury five-star hotels in the Dorchester Collection. The brand and the Sultan are under fire due to the Sultan's decision to enforce the policy of death by stoning as punishment for homosexuality and adultery. On Wednesday, eight hotels including the Beverly Hills Hotel in Los Angeles and The Dorchester in London deleted their social media profiles, the same day the awful new law ordered by Sultan Hassanal Bolkiah went into effect. Paris's Le Meurice and Rome's Hotel Eden made their Instagram accounts private. George Clooney wrote an op-ed for the entertainment news site Deadline on March 28th. 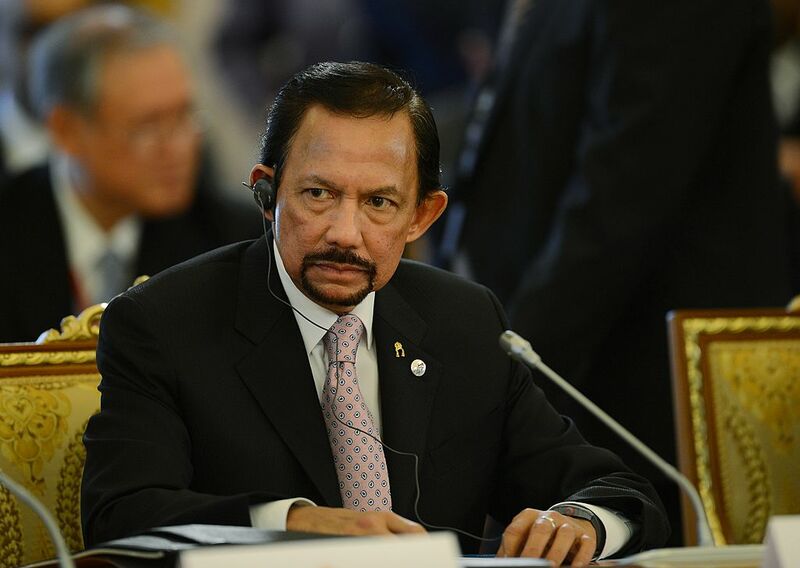 In it he outlined why a boycott of the Sultan of Brunei's hotels is necessary. "Every single time we stay at or take meetings at or dine at any of these nine hotels we are putting money directly into the pockets of men who choose to stone and whip to death their own citizens for being gay or accused of adultery." The move to punish homosexuality more harshly was the first major change to Brunei's laws since 2014, when Sharia law went into effect. Sharia law is strict Islamic law. The new law also calls for harsher penalties for theft. For a first offense the thief's right hand will be amputated. The second offense will come with the penalty of the amputation of the left foot. The new laws require that there are a number of Muslim witnesses to the crimes for the penalties to be enacted. This will make sexual crimes, such as adultery, hard to prove and thus prosecute. Brunei's punishments for crimes are very harsh. Some drug offenses carry the death penalty. Alcohol is banned in the nation. Having children out of wedlock or not praying on a Friday are punishable with jail time. Homosexuality has been illegal for the more than 400,000 people in Brunei since it became independent from British rule in 1984. Brunei's official name is ironically "Nation of Brunei, the Abode of Peace." The nation is ruled by Sultan Hassanal Bolkiah. He is the 29th and current Sultan and Yang Di-Pertuan of Brunei and has a net worth of $20 billion, serving as Brunei's head of state since 1967. The nation is an oil-producing one on the northwest coast of Borneo. The Dorchester Collection posted a statement on Twitter on Wednesday saying in part that it "does not tolerate any form of discrimination."